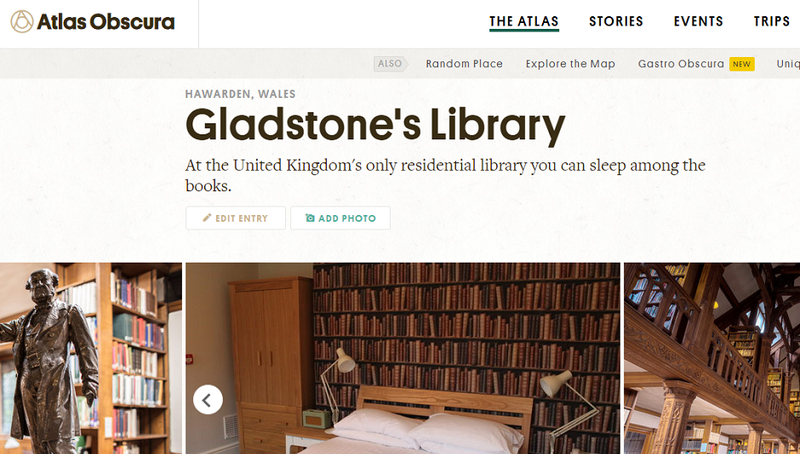 Gladstone's Library on Atlas Obscura! The title of the piece is 'Gladstone's Library: at the United Kingdom's only residential library you can sleep among the books'. Read the full article online here. Thank you to Kerry Wolfe for putting together this fantastic coverage. For further information about anything included in the article, please do get in touch on 01244 532350 or enquiries@gladlib.org.